Bottom trawl nets wirj well on flat seabeds, but are ineffective for surveying rockfish populations in rocky areas along the California coast. 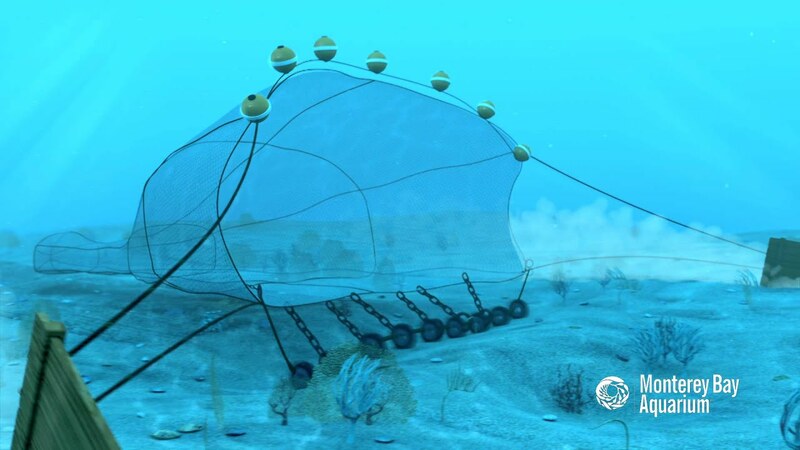 But nets are impractical in places with rough underwater terrain. Much of the seafloor off California’s coast is characterized by angled boulders, rocky spires and cliffs. This presented a challenge for researchers studying animals like lingcod and rockfish, which hang out in rocky places. Historically, scientists trawled areas with softer seafloors, and extrapolated the numbers and sizes of fish they assumed were hidden among the rocks. 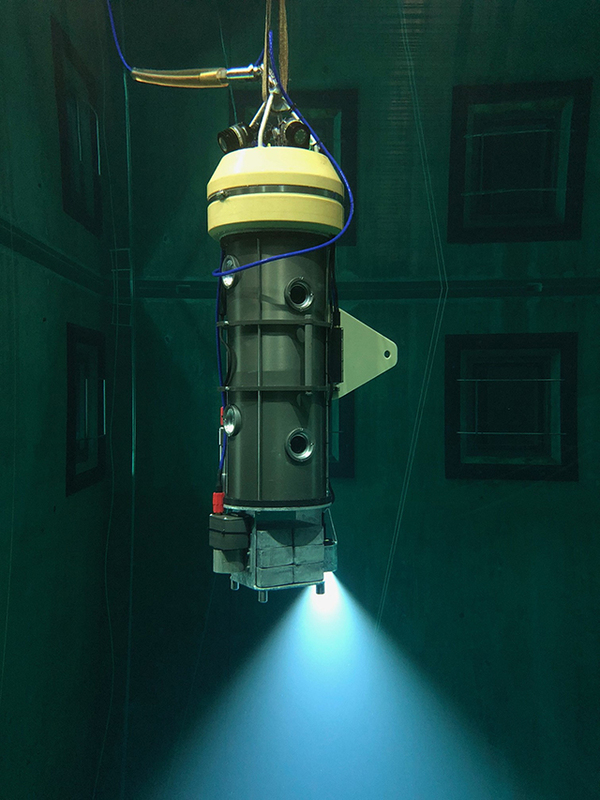 Over time, deep-sea video emerged as a better way to take measurements. The BOSS follows an earlier video lander built by Marine Applied Research & Exploration, a California nonprofit. This first-generation lander (“Gen1”, as Chad calls it) used cameras mounted on a swivel, slowly rotating 360 degrees. From 2012 to 2015, the Gen1 lander was lowered into the ocean over a thousand times, but it had some limitations. The slow rotation of its cameras occasionally resulted in fish being double-counted. Launching and recovering the Gen1 from a ship could be unwieldy. And its design still had trouble with rocky areas. So how did MBARI wind up working on the lander’s next iteration? 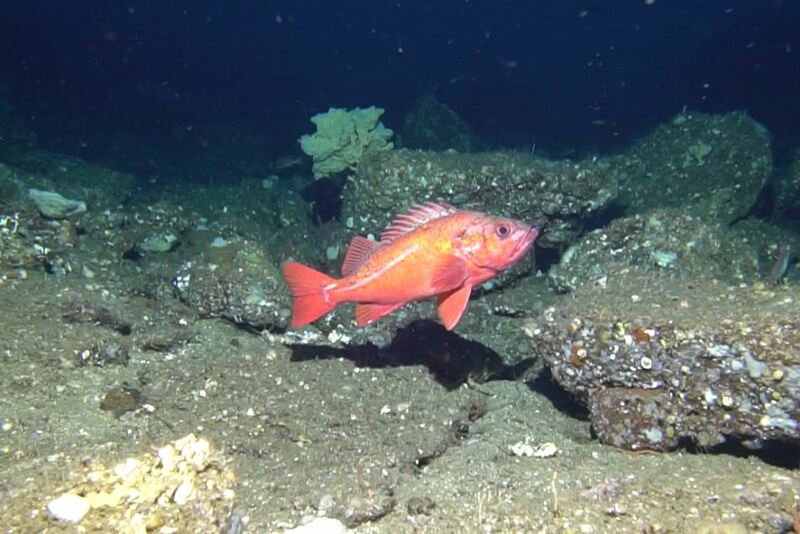 MARE wanted data on Rockfish Conservation Areas, established in 2002 to curb the overfishing of groundfish, a commercially valuable mix of seafloor species. One is located right by the Monterey Bay Aquarium—an early supporter of California’s first-in-the-nation network of marine protected areas. And the Aquarium is keen on using science to manage the recovery of depleted species, including West Coast rockfish. Besides help from seafood devotees and local fisheries, that effort hinges on data. Chad and his colleagues knew they could design something better and deliver the data. Like the Gen1 lander, the BOSS uses stereo cameras—two identical cameras side by side, like human eyes. When both cameras record the same fish, they see it from slightly different angles. With proper calibration, it’s possible to determine how far away the fish is, and how big. 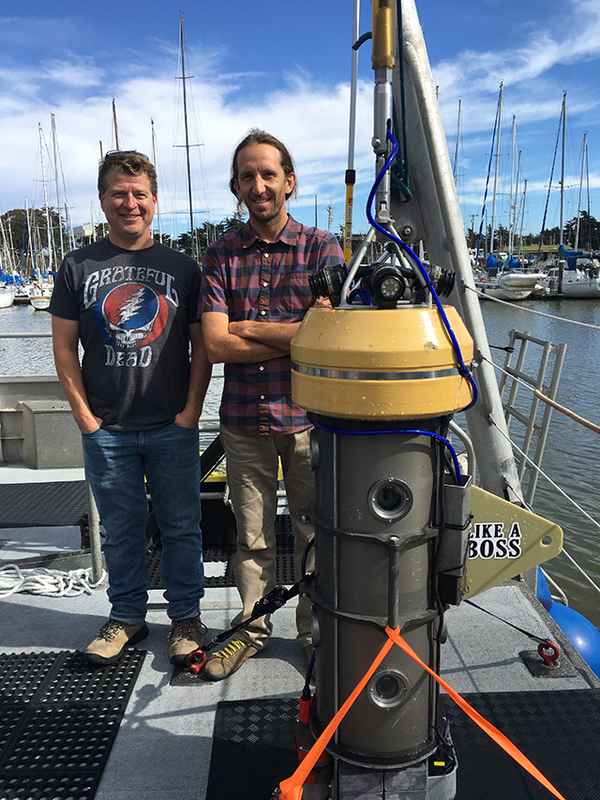 MBARI Electrical Engineer Chad Kecy and Mechanical Engineer Francois Cazenave designed the BOSS four pairs of video cameras and a near-360 degree field of view. The BOSS features four stereo camera pairs, which can film four surrounding areas at once, totaling nearly 300 degrees of coverage. But the technology wouldn’t function if the lander tipped sideways as it was deployed. So MBARI scientists designed the BOSS to right itself—like a wobbling bowling pin that stabilizes instead of falling over. Its base is weighted with 150 pounds of lead bricks, and the top has 200 pounds of flotation material. Fisheries researchers often take advantage of opportunities send a BOSS out on already scheduled research trips, so the camera system was designed to be broken down and transported with relative ease. A pickup truck pulling a small trailer is all it takes to haul it. From Mary’s perspective, standing aboard ship and being able to see what’s going on below in all directions has “just been really fun.” Already, the BOSS has peered not only at many fish but also humpback whales and several species of sharks. 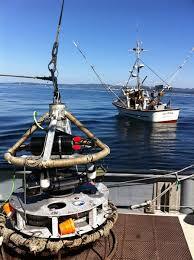 Camera systems allow researchers to document fish populations in rocky areas that bottom trawl nets can’t reach. At just shy of $200,000 apiece, the BOSS isn’t exactly cheap, but it’s a bargain compared to a lot of other oceanographic equipment, Chad says. The initial results are promising: It’s already brought back more than a terabyte of video—hundreds of hours of fish observations. Even better, the system may not be one-of-a-kind for long. This year, Chad and his colleagues plan to produce an operations manual and other documents related to the camera—“everything you would need to replicate a BOSS,” he says. Production will then head back to the Marine Applied Research and Education team in Richmond, California, where the team expects to start building more BOSS units soon. Learn more about the Monterey Bay Aquarium’s work to support sustainable seafood.